Sam Lowes was fifth fastest in the final Moto2 test of 2015 but afterwards the Englishman was in enthusiastic form. Despite finishing over half a second slower than Johann Zarco Lowes was confident that his race pace was as fast as anyone and said that "if the race was tomorrow I'd be able to win." Having switched to the Gresini squad and the Kalex chassis Lowes has had plenty to learn in the last week but four days testing in Spain has left him feeling good about the switch. "The pace and rhythm from everyone that was here was slower compared to me. The Kalex is a really good chassis and as the weight comes down it gets easier and easier to ride. Everyone else went faster with the softer tyre but Dunlop has told me that tyre won't be in the allocation for Valencia next year. With that information I decided that it was better to focus on what we'll be using here and learn as much as possible from the two days. "I feel really good on the bike. it's very comfortable to ride and on longer runs it gets faster and faster as the fuel goes down. It's still a very new bike for me and getting the most out of it on fresh tyres is taking me some time but I showed this year that I can be fast in qualifying so I'm not too worried about my single lap pace." Lowes completed over 200 laps over the course of the two days at Valencia and when it was combined with his Jerez test last week he has now clocked over 1500km on the new chassis. Working with Gresini has also been an eye opener for Lowes with the experience in stark contrast to last year with Speed Up. Whereas in the past the focus was on constantly being able to set a fast time and show well on the timesheets at Gresini the focus has been learning the bike and spending testing time understanding how setting changes affect the bike. "I've really enjoyed working with the team and we're working well for the long runs and the race. They're making me believe in them more and more all the time. It's great to have other people bring stuff to the table and they've got so many ideas for the bike and how to get the most from the package. It's so much better than what I've experienced in the past and everything is well thought out with them; there's always a plan and that's great. "We have tested so much this week! With the Ohlins stuff too we've focused on getting as much data as possible and it's been a really productive couple of days. Hopefully the feedback has given them some direction. It's good to work with Ohlins and I've always liked using them in the past and I think that it could be a good thing for us and they could have something special next year. Tito was their only race winner this year but they're so committed to winning." 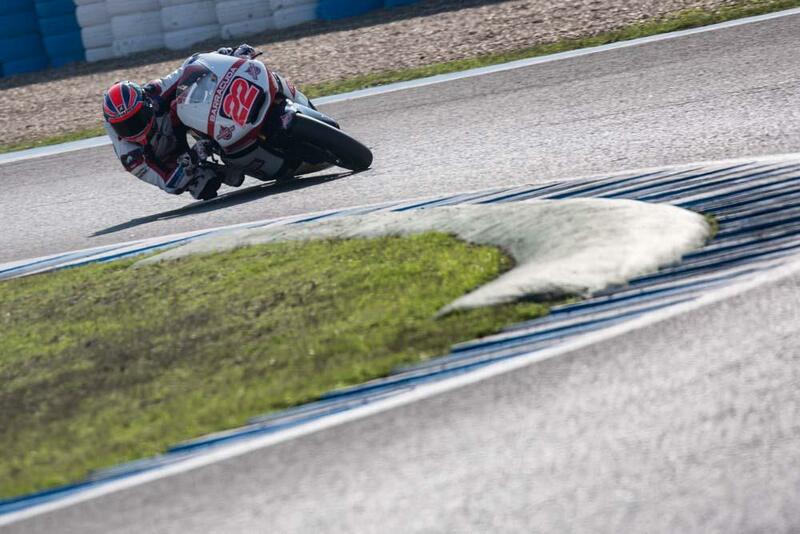 Winter testing is now finished for Lowes and he will have to wait until February to get back on the bike.